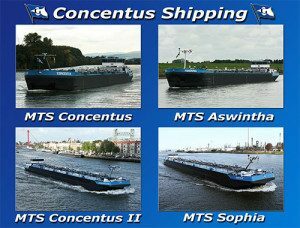 Concentus Shipping AG welcomes you to this site. This shipping company is established in Switzerland and is specialized in the transport of liquid minerals and chemicals. Concentus Shipping sails with about 30 certified and international crewmembers. We are active in the Netherlands, Belgium, Germany and Switzerland.